Observation - Cranes - UK and Ireland. 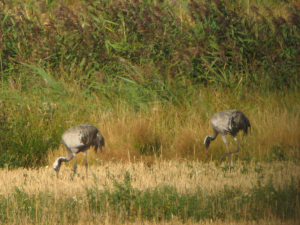 Description: 2 cranes feeding in stubble fields at Horsey, Norfolk. Upto 12 other cranes were in the area. 2 cranes feeding in stubble fields at Horsey, Norfolk. Upto 12 other cranes were in the area.